The KÜHL Riveara™ Short Sleeve Shirt features a unique, mini stripe mélange fabric. 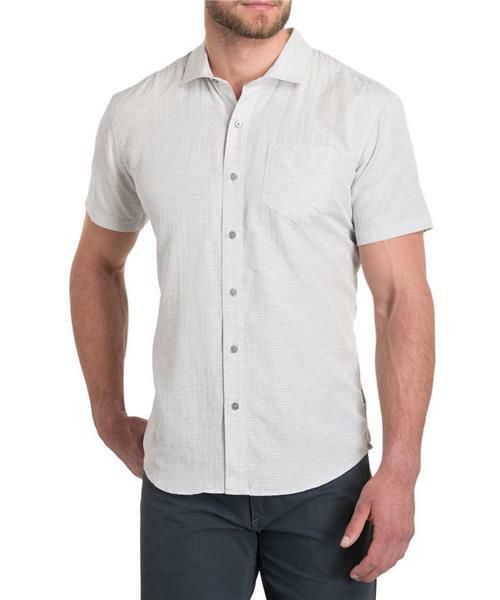 The Riveara Short Sleeve features a reduced modern collar, left chest pocket, and custom KÜHL buttons. Herringbone grosgrain detail on the interior neck and side hem add stylish detail. Versatile, comfortable, and easy care, the RivearaI™ SS is perfect for travel and adventure.